The Scoop kitchen door and drawer front design looks amazing with its plain edges and inset handle. Remember the handles are purchased separately. Premier Scoop drawer fronts start from £6.41 and kitchen doors from £15.29. 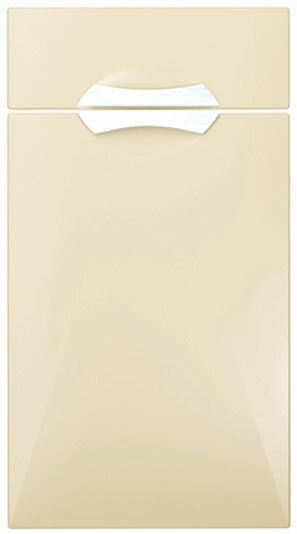 Click the button to purchase a Sample Premier Scoop design kitchen door. The Premier Scoop design is available in ALL non-gloss finishes. The Premier Scoop design is available in ALL high gloss finishes. Please Note: The Premier Scoop design is NOT available in any high gloss finishes.